CDR | Callum Prepares for European Adventure! 16 Jun Callum Prepares for European Adventure! Callum Devine will make his first competitive appearance in mainland Europe this month, where he will tackle the iconic Ypres Rally in Belgium. This will be Callum’s second time taking on the extremely competitive R2 class of the FIA European Rally Championship (ERC), after an impressive debut at the Circuit of Ireland Rally in April. However, first on the minds of the team is the big event in the North West this weekend, the Joule Donegal International Rally which starts this Friday in Letterkenny and will finish outside the Mount Errigal Hotel on Sunday afternoon. Donegal is the longest and arguably the most difficult event in Ireland for the car and the crew with nearly 290km of the best roads in the country. So far this year the Clonakilty Blackpudding Irish Tarmac Championship has been a happy hunting ground for the Park native with class wins in Galway, West Cork and Killarney. This will be Callum’s 4th attempt at the Donegal Rally and having previously shown impressive speed, he is hoping for a top result in Class 2 and more valuable points for the championship. The event also provides valuable seat time before the trip to Belgium. Fans will be able to see Callum, and co-driver Keith Moriarty, on the stages throughout the event. 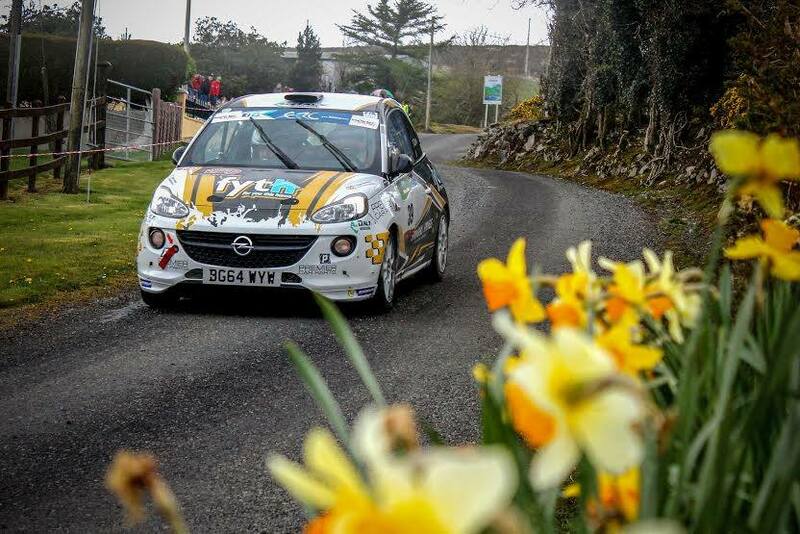 There will also be the opportunity to get a closer look at the eye catching FYTH.co.uk Opel Adam in the service parks located in Letterkenny and Milford. The Billy Coleman Award nominee would also appeal to anyone following the event to drive safely on the roads by following the ‘Keep the Race in its Place’ message, by following marshal’s instructions and to have a safe and enjoyable weekend in the hills of Donegal. Keep up to date on Callum’s performance during the rally on Twitter (@CallumDevine27) and Facebook (callum devine rallying) or at www.callumdevine.com. Callum is competing this season with the support of Fyth.co.uk, Premier Car Parts, Springhill Springs and A. Daly Groundworks.